Mobile World Congress will bring exciting handset news, but we shouldn't overlook the fact that there are great phones on sale right now. Mobile World Congress (MWC) is just days away, and there’s sure to be loads of exciting new smartphones on show. But if you’re not the type to splash out on the latest and greatest technology going, this is the time to shop around for a new phone because you’ll find some great deals. So here are our favourite smartphones that you can buy right now ahead of MWC. 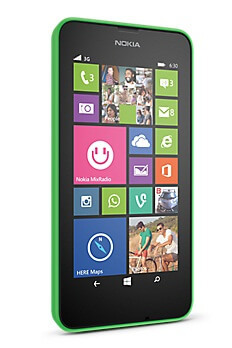 You get a lot of phone for your money with the Nokia Lumia 635. It’s 4G ready, so you can connect to superfast mobile internet and stream movies or play online games. Its 5MP camera takes better quality photos than any similar camera. And Nokia and Microsoft loaded it up with brilliant free apps, like MixRadio for free music and HERE Maps for navigation. The only small problem we have with the 635 is that it needs charging every day. 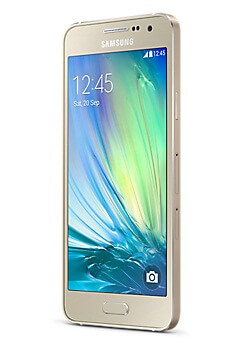 Samsung put design at the forefront of the Galaxy A3, which is why it makes it onto this list. The all-metal body is incredibly slim, so it not only feels premium, but is also comfortable to hold. It also uses a 4.5 inch screen, it’s small enough to use one handed but big enough to let you enjoy apps, games and web browsing. And that screen looks phenomenal. The only thing we aren’t keen on is the A3’s software. It doesn’t have the same high-quality look and feel as the phone itself. The HTC Desire EYE takes selfies into a different league. We love its advanced 13MP front facing camera and unique software as they let you create awesome photos that your friends will envy. And with powerful insides that’ll effortlessly run the best apps and games and a big 5.2 inch Full HD screen, we think the Desire EYE is perfect for entertainment too. 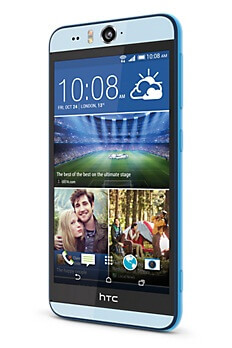 It’s just a shame it doesn’t have the premium design of the HTC One M8. The HTC One M8 was the best looking phone of 2014, and it’s still drop-dead gorgeous a year after it was first unveiled. Its smooth metal body is ergonomically designed so it fits comfortably in your hand. 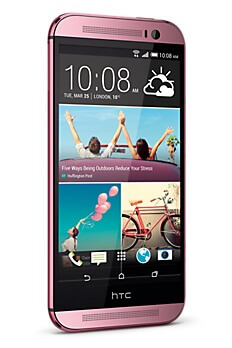 Its front facing stereo speakers give better sound quality than any other phone – perfect for movies and music. And its advanced Extreme Power Saving Mode means even when your battery runs low, you don’t have to rush for the charger. We’d just have liked HTC to give the M8 a higher resolution camera for better photos. With a water resistant body, incredible 16MP camera and ultra-secure fingerprint scanner, the Samsung Galaxy S5 is a pretty complete package. It runs brilliantly fast and has one of the best mobile screens in the world, so HD movies and the latest games are made to look great. 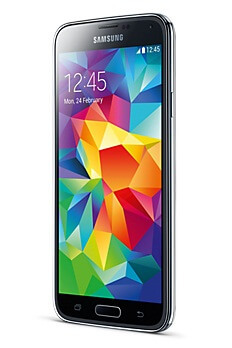 The only thing Samsung could have done better was the S5’s design. 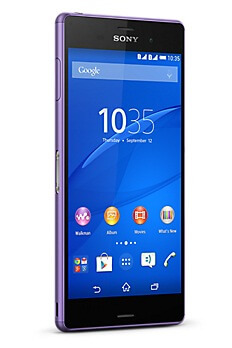 If you’re always dropping your phone in puddles or spilling drinks on them, you want the Sony Xperia Z3. It’s waterproof to a depth of 1.5 metres so you don’t have to worry about water damage. It also has a fantastic camera that’s especially good in low light, like on a night out. And you can connect it to your PlayStation 4 to play some of the world’s best computer games on your mobile. We can’t really fault the Z3 at all. If you are looking for a phone right now that already has some of the exciting tech we’re expecting to see at MWC, you should take a look at the Nexus 6 and LG G Flex 2. But let us know which current phone you’d most want, or what you’re waiting for from MWC, in the comments below. The fastest focusing phones - how do they do it?